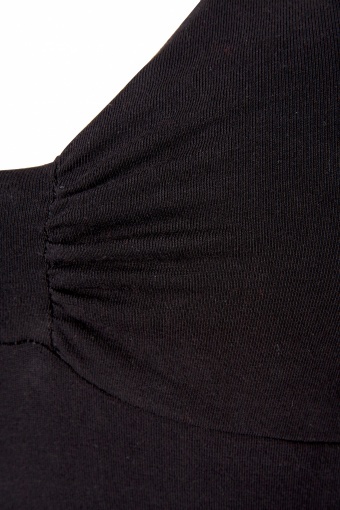 The fabric is very stretchy and a halter top is very difficult to measure / to determine bustsizes. Please follow our indications as mentioned in this sizeguide. If you have a large cupsize (E cup or more) you probably better order 1 size up to cover up your bosom/for a better fit. 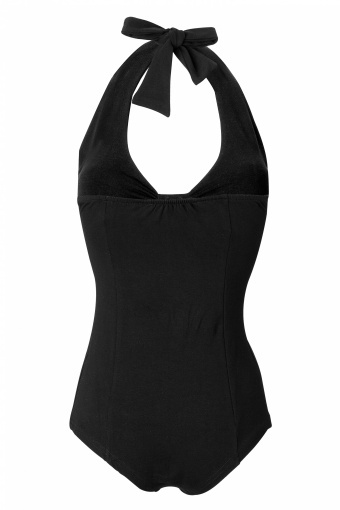 The Dolly Body Black from Collectif is a basic must-have for your summer wardrobe! 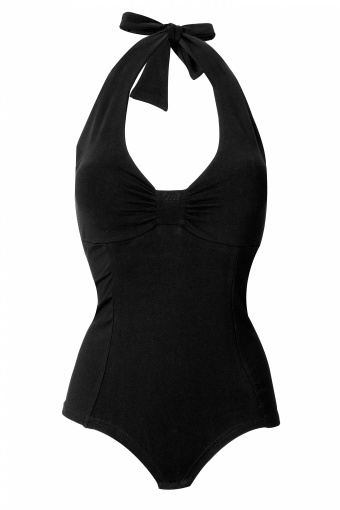 Body with adjustable halterties and an elastic seaming at the back for a perfect fit, push button closure. Even with low waist trousers nothing is visible with this practical body. 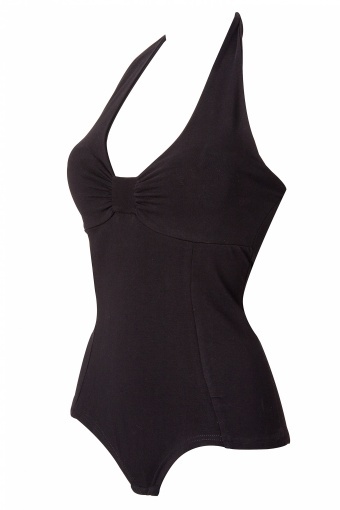 Made of a comfy firm cotton with a lot of stretch.